I've been participating fairly regularly in a local Artist Trading Card trade for the past 12ish years. I don't always attend and sometimes attend without cards to see the lovely artists in the group. 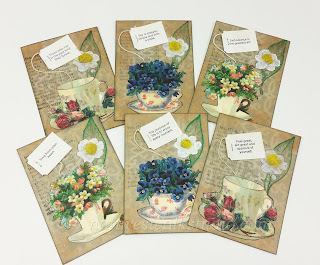 However, I have actually created ATCs for the upcoming using my "tea bag wisdom" tags from tea I drink daily. A lot of those participating in our local trade make identical cards for each trade... I tend to find that boring and generally use a theme and make similar but different cards. 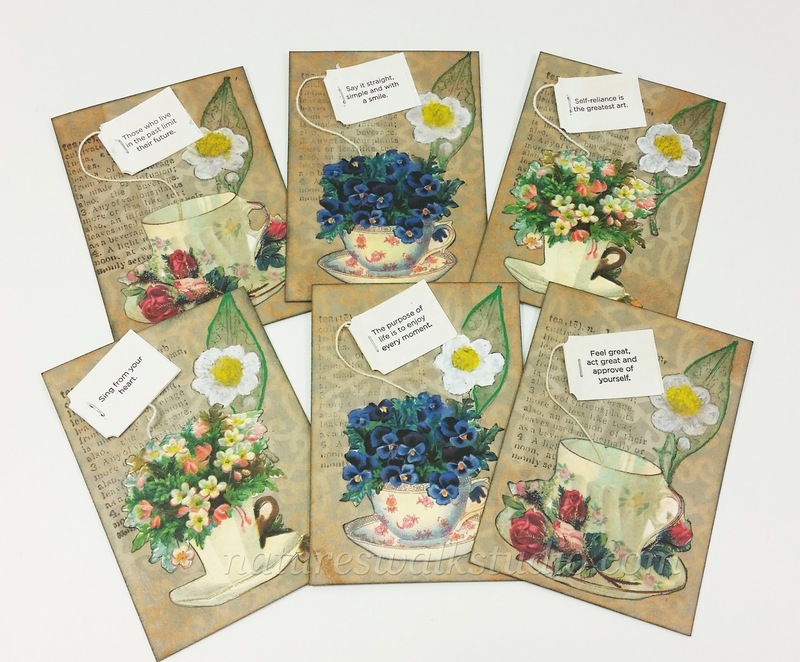 These use a recycled tea box as the background - with inks to tint, a stamped image, watercolor pencil, sharpie water based paint pen, vintage teacup images and the tea bag wisdom. these are wonderful and I love the vintage teacup images. Happy PPF! So talented...these are unique and stunning!! I love them!! Captures the essence of who you are too! !